If you want to win over your fam and friends at a Fourth of July barbecue, bring them this perfectly spicy pasta as a side dish. Warning: this will be eaten quickly and you will not have leftovers. 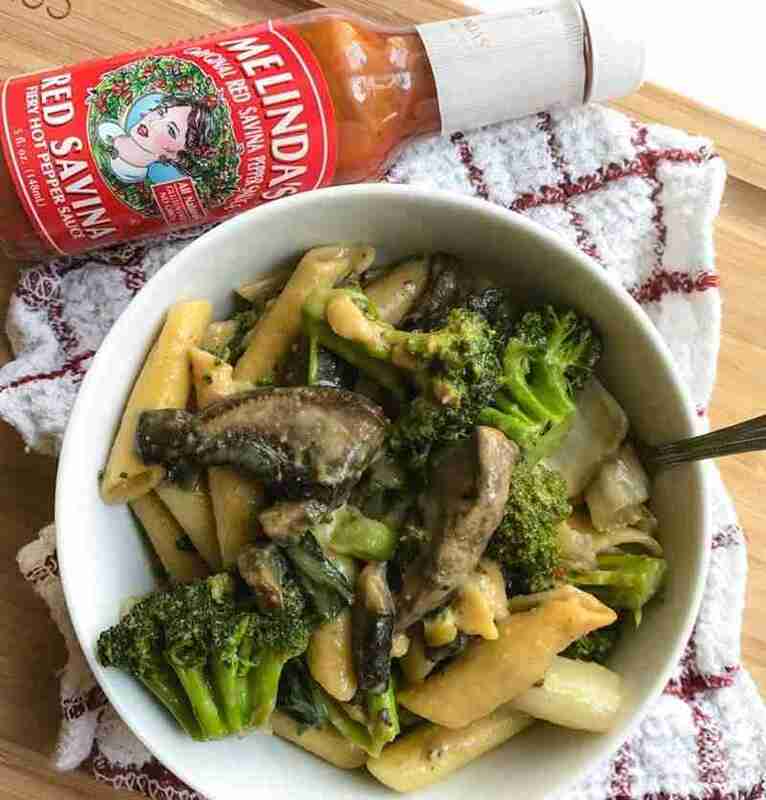 1 1/2 tsp Melinda's Red Savina Pepper Sauce or however much you want! or use Melinda's Creamy Style Wing sauce or however much you want! Then, add 1/2 cup water and cook veggies for another 7 minutes (total of about 12 minutes). Stir fairly often. For the sauce, whisk all ingredients together in a bowl until a smooth and creamy consistency forms. Combine the pasta, vegetables, and sauce & enjoy! !